We visited a local craft studio. Zachary had his Poetry Cafe. 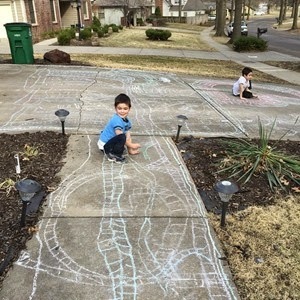 We had warm weather and decorated the driveway with chalk. Gabbie had a dance performance. I have a giveaway open for ZooBorns Motherly Love. I watched Season 3 of House of Cards and another show called The Fall. I started knitting more often. I flew to Atlanta for the day for my sister-in-law’s baby shower! 1. 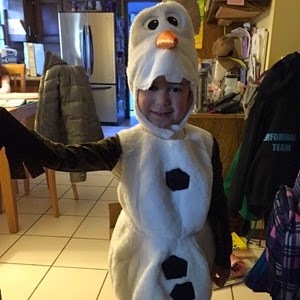 Simon wearing his Olaf costume. 2. 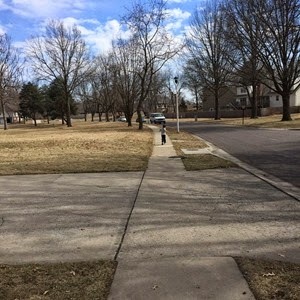 Simon running to the park. 3. 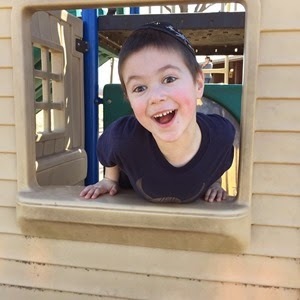 Simon at a different park. 4. 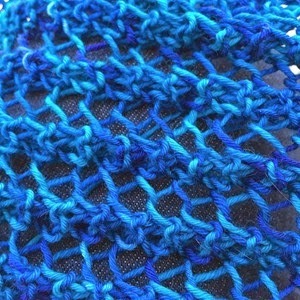 Scarf I knit for a friend. 1. Simon and Zachary decorating the driveway. 2. 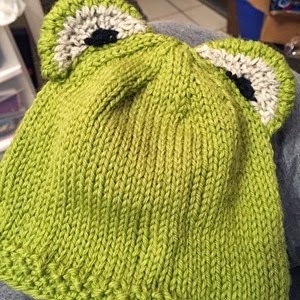 Kermit hat for my brother and sister-in-law’s baby. Next up: Gabbie’s birthday and Passover! Happy end of the month!